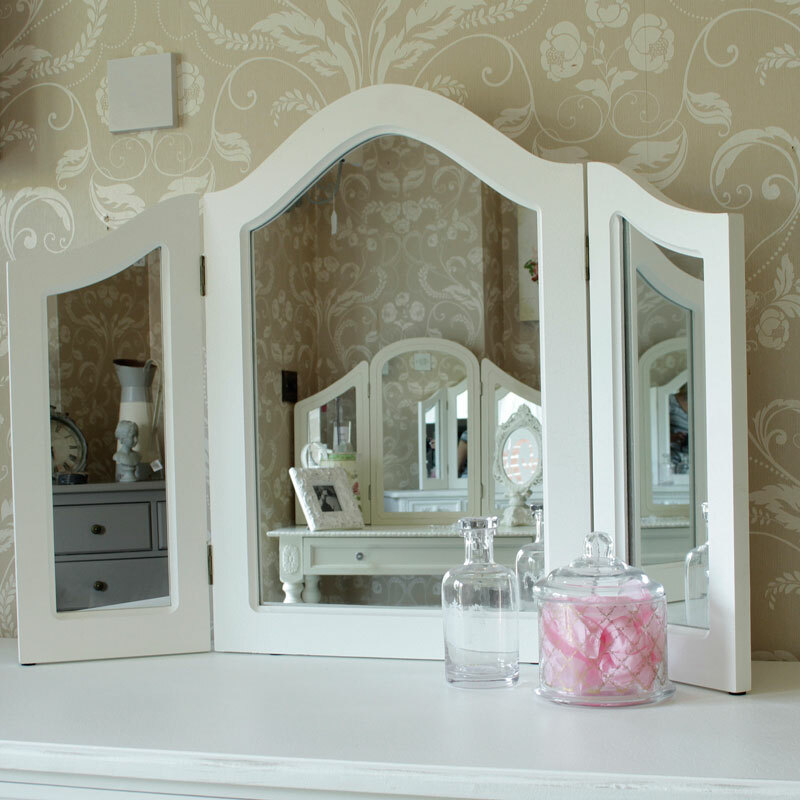 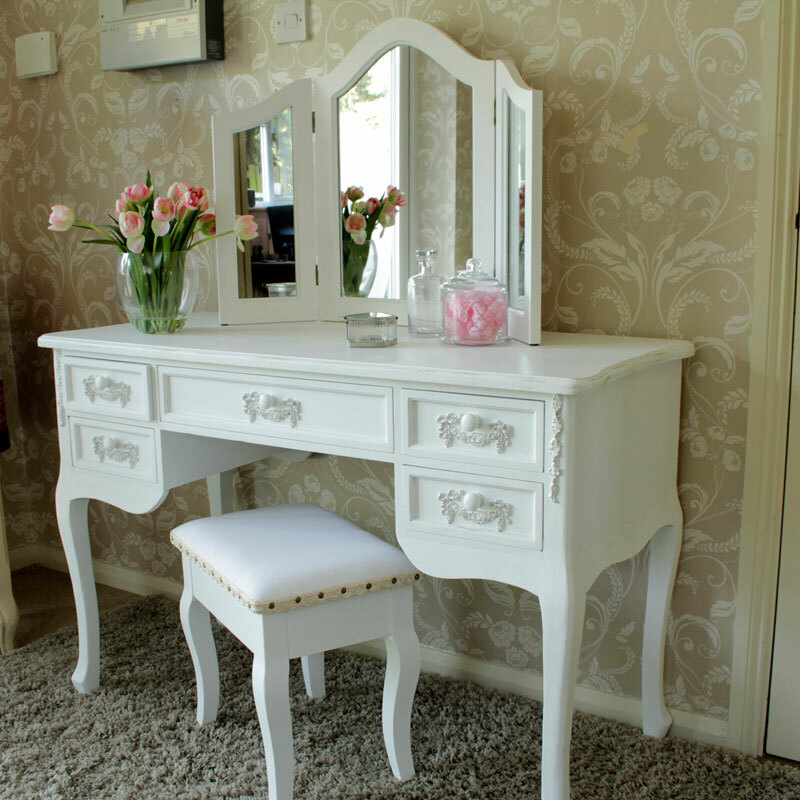 A stunning white vintage style bedroom furniture bundle, this bedroom furniture set includes a fully assembled slim mirrored closet, dressing table set with a triple mirror and stool and two bedside tables. 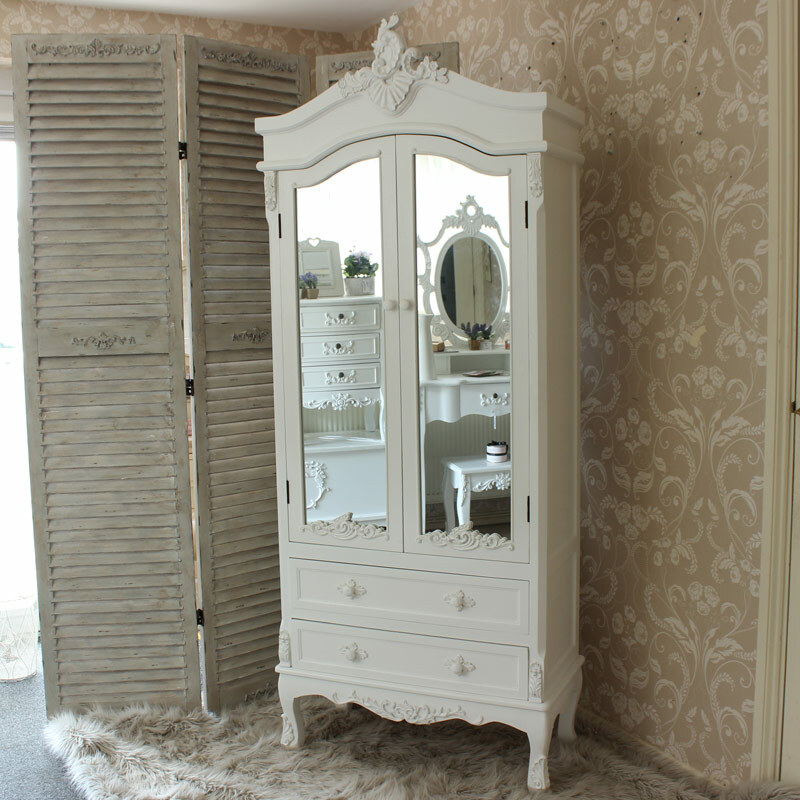 In a traditional shabby chic look. 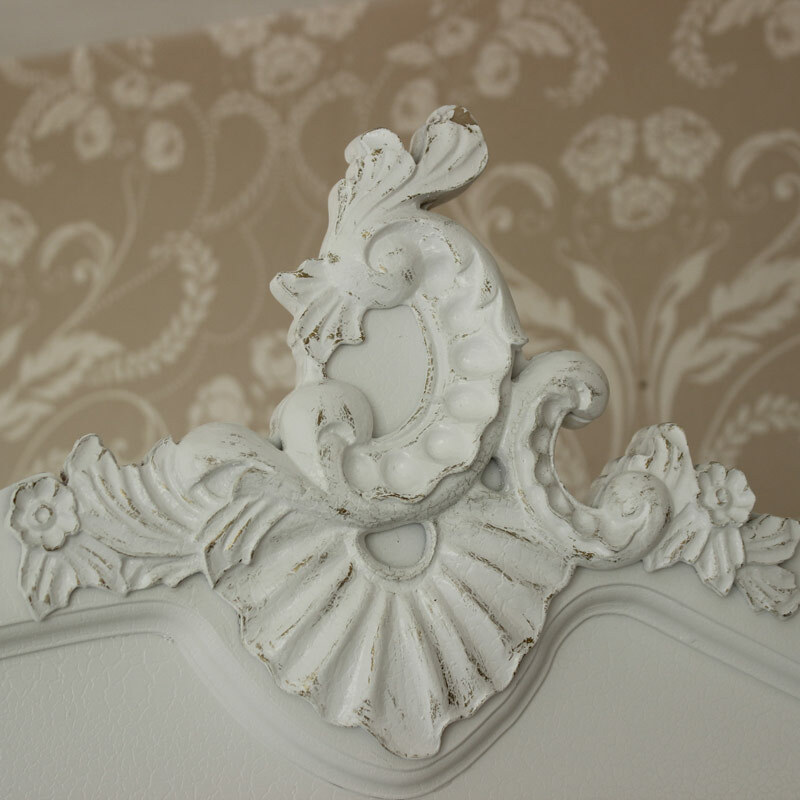 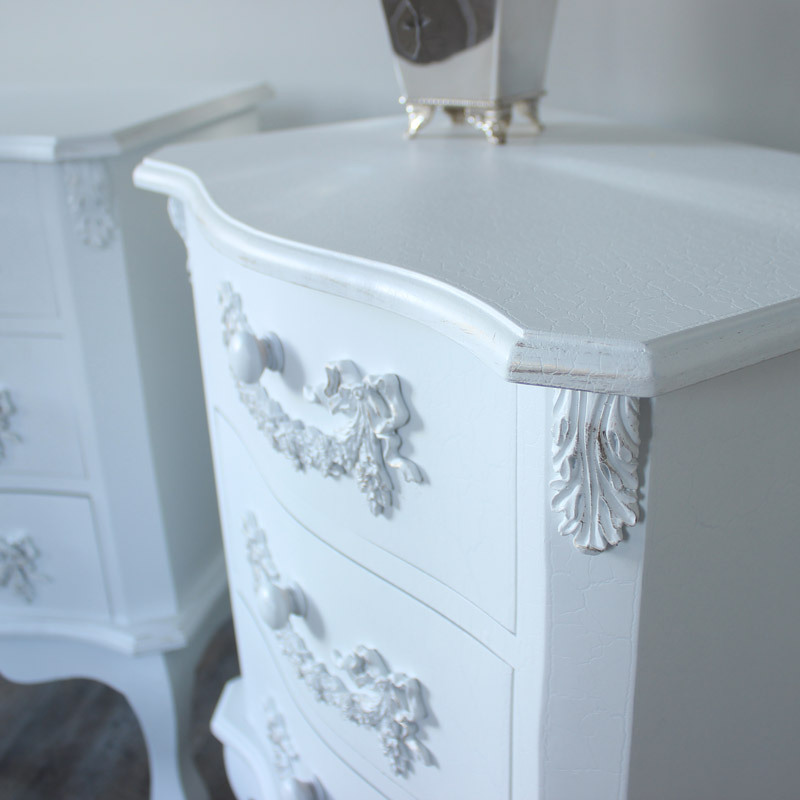 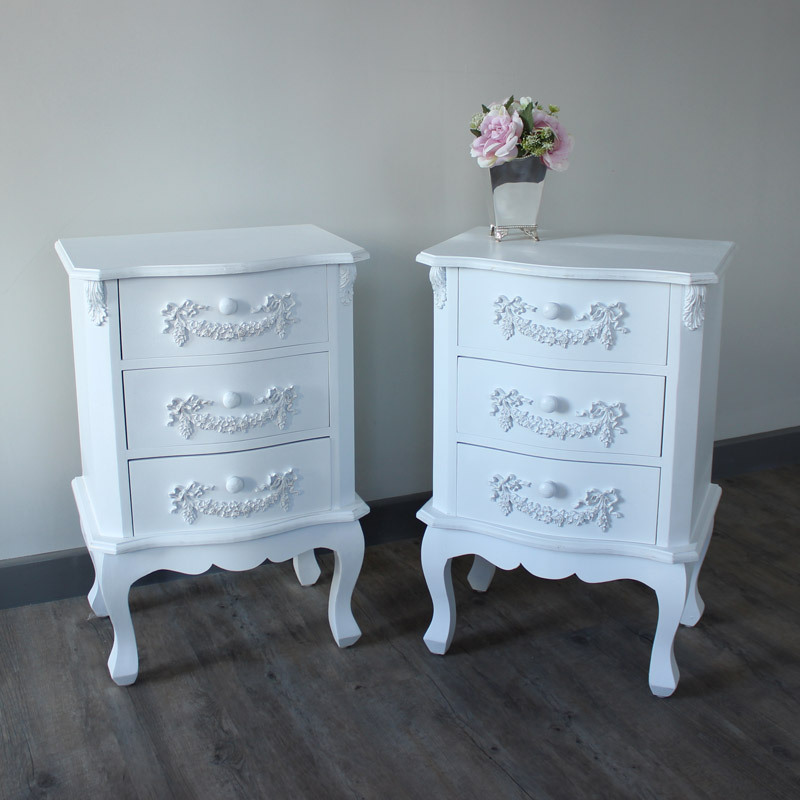 With an antique white paint with a cracked effect finish, finished with elegant carving to the drawers, adding to the French vintage style. 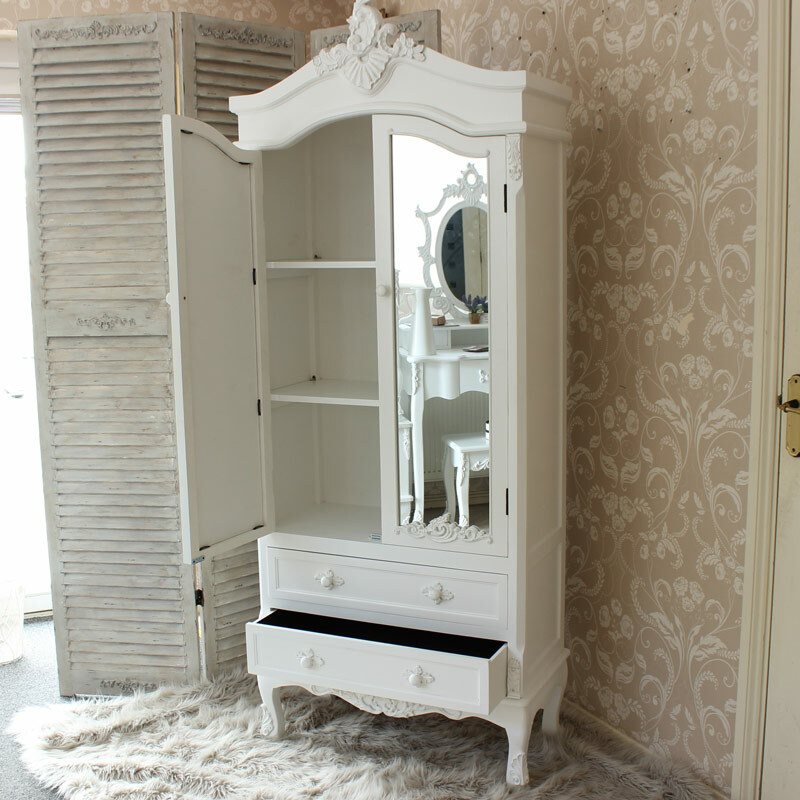 Plenty of storage provided for clothing and accessories with three internal shelves to the closest.